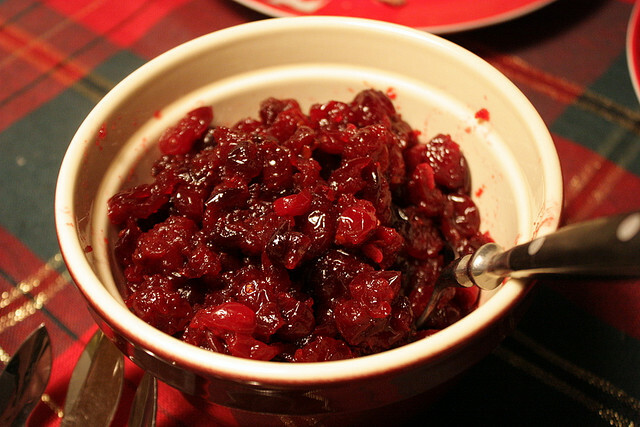 In medium saucepan, boil cranberries, water, and sugar 5 minutes or until they pop (stir often). 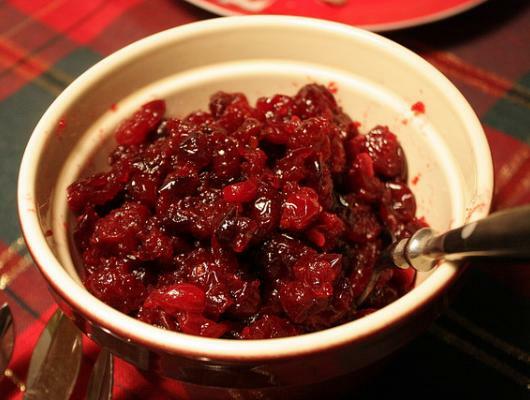 Stir in preserves; simmer 20 minutes or until sauce thickens. Pour into 1 1/2 quart dish. The quintessential Thanksgiving side dish. Also great on turkey sandwiches the next day.